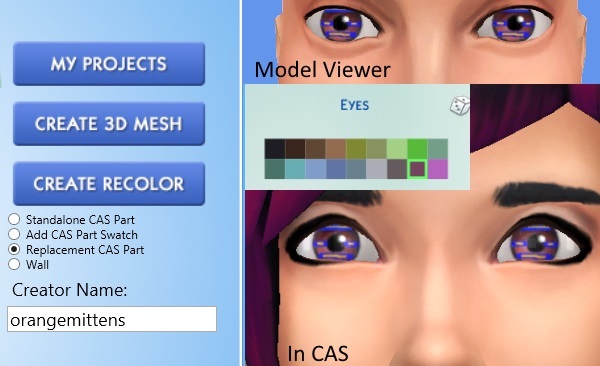 There are three different types of CAS recolors that you can make with Sims 4 Studio. This mini-tutorial will show what each of these is called and what you end up with in the game if you make that kind of recolor. In the game if you select Standalone CAS Part you will get a completely new catalog entry for your recolor and the only colors it will have are the ones that you added to it. On the left side of the picture below is the first screen with the Standalone CAS Part button selected. On the right is the new Standalone catalog entry for the garment and the two new swatch thumbnails showing it has two color choices - green and pink. Note the original EA shirt is next to the new one. A standalone item will not change the original EA catalog entry in any way. 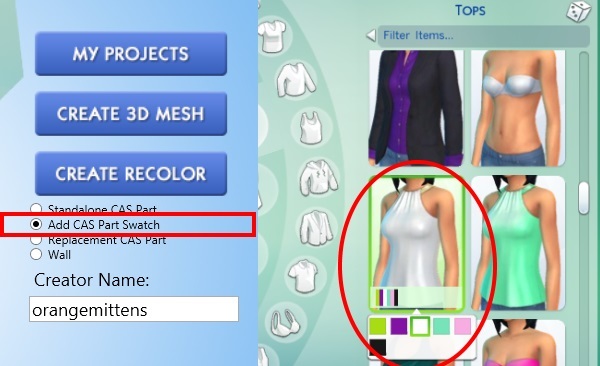 If you choose Add CAS Part Swatch you will not get a new catalog entry. Instead you will be able to add new recolor options to an EA item. The picture below shows the front screen with Add CAS Part Swatch selected on the left. On the right you can see the original EA top that I cloned with it's swatch thumbnails box open. All of the original color choices are still there but there are also my two new ones - the pink and the green ones. You can see my standalone recolor right next to the EA original catalog entry. The last kind of recolor is a Replacement CAS Part. 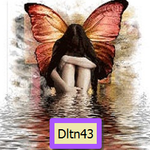 This is a default replacement. Since this is best used for things like eyes I cloned the amber eye for this example. I then painted stripes on the texture. In the game you will see a default replacement if you select the original item. Instead of seeing any EA original recolors you will only see your single texture replacement. If you have created a .package and want to add more recolors to the item you can open it up again using My Projects. This will give you a pop up that will browse to your .package allowing you to open it up and resume work on it. Note that if you open up a previously created .package you are opening something that is whatever you made it. This means, for example, that if you made a standalone it will still be a standalone and all you will be able to do is add more swatches, delete swatches, or change swatches you put in it the first time around. When it is saved again it will still have its own place in the catalog just like it did the first time. Also note, the radio buttons for selecting the project type only have an influence over a brand new project (ie. a brand new clone). If you are using the My Project button you are opening a .package that already exists and has its type selected (ie. it is not a new clone). The radio buttons have no effect on a .package you open from the My Projects button. The radio buttons are only for creating a completely new .package file. They are completely separate from an already created project. What I mean is this: if you select "My Projects" and open an existing .package, the "Add CAS Part Swatch" radio button doesn't play any part. Glad you both explained this part as I'm about to go play around with recoloring some clothes now. Thank you! I've edited the tutorial to clarify this confusing point. So when doing a "add cas part swatch" I can add logo's to a shirt? and with the logo change the shirt to any color I want? 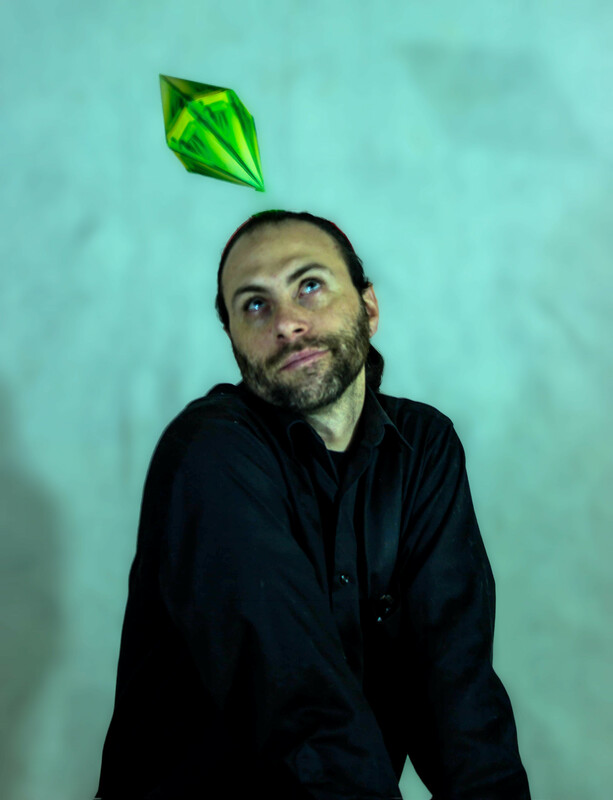 iplaysims4, yes. 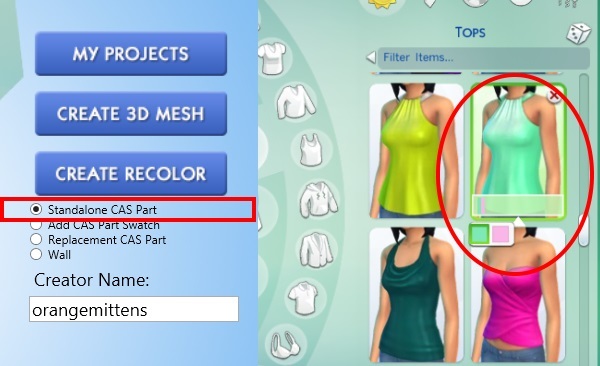 This will add your new shirt color with your new logo as a choice the player sees when they select the EA garment you added your CAS part swatch to. That is, all the original choices will still be there but any that you added will also be there. To see them the player must select EA's catalog entry for that item. If you would prefer you can choose Standalone. If you do that you will create a new catalog entry that has only your recolors. Thanks for explaining. I think I get it, now. You're welcome. Thank you for helping get this mini-tutorial clarified. Gosh, I feel so needy. OK, here is what happened. I recolored a swimsuit. It is gold and black. Made it as a Standalone. Saved it. Then, while the window was open, I hit that NEW button, and imported a new texture, red and black, and made a new color swatch. Saved it again. Then I clicked on the gold and black swatch, and normally, I would expect the preview window would update. However, it still showed the red and black, even under the gold and black swatch. No trace of the gold and black recolor. Then I started over. Made the gold and black as a Standalone. Saved it. Then selected Add CAS Part Swatch. Opened my project package. Added the red and black swimsuit and did up the color swatch. Saved it. Now the package works perfectly. I click on the gold and black, and the gold and black suit appears. Click on the red and black, and the red and black suit appears. Made a blue and black suit, using Add CAS Part Swatch, and again, everything works perfectly. I think leaving it on Standalone when adding other recolors to the package overwrites the original with the new texture I upload. In order to get all the new textures lined up with the swatches and to show up in the package, I must use Add CAS Part Swatch. So now my three recolors are all in the same package and show the appropriate thumbnails and swatches. Hi Naydi/Davinia, the radio buttons below the Create Recolor button do not affect .packages that you open using the My Project button. When you click the Create Recolor button what you are doing is making a brand new clone. Those radio buttons are used to tell S4S what type of clone you want. When you click the My Projects button what you are doing is opening up a clone you have already made. It will be the type of clone you chose when you first made it and the radio buttons cannot change that in any way. One thing to be aware of is that the new user interface has a sort of double loading process that occurs when you change from one swatch to another. You will need to let it complete it's loading before you see the swatch you clicked on show up and put the corresponding texture on the model. When you click Save you should be getting returned to the Home screen. Is that not happening when you click Save? When I save, it just says "Your package has been saved" and remains open. Edit: I downloaded the corrected beta Studio and now everything is working like it should. It even closes after saving the package. Thanks for pointing that out. I was getting annoyed at having to go and open up the package over and over!